Basketball players D’Moi Hodge and Malachy Payne along with coach Jason Edwin, saw the Golden State Warriors improved to 22-0 with a victory over the Brooklyn Nets, toured the NBA office and participated in scrimmages at Columbia University, while on a tour in New York. 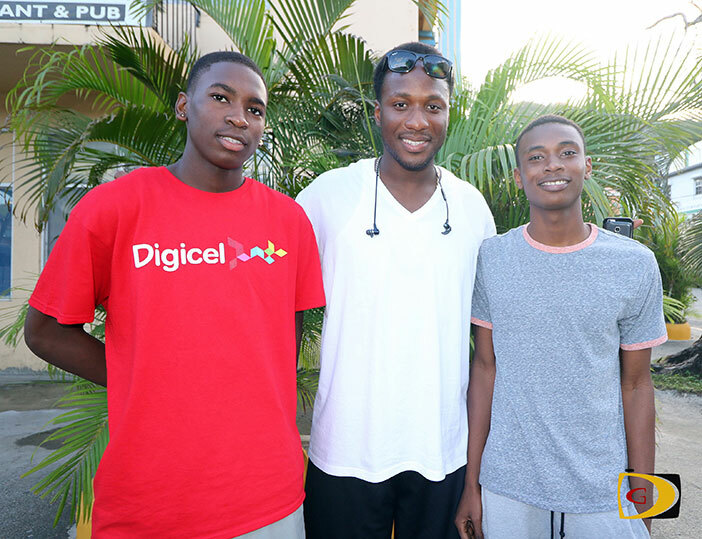 Hodge and Payne were the BVI winners of the Digicel NBA Jumpstart Elite Basketball camp and joined their counterparts from other markets served by the telecom provider, for the excursion. “We had fun, I enjoyed myself and hope I can do it again next year,” Hodge said. They began the sojourn with a scrimmage among the players from, Bermuda, Turks and Caicos Islands and Trinidad and Tobago. Hodge said they worked on dribbling drills, out of bounds plays, sideline plays and secondary plays they can use in a game. Prior to Sunday’s game between the Nets and Warriors, they toured the Barclays Center, saw the cheerleaders, some of the players backstage, the walkway and the tunnel players enter the court through. Then they went courtside to see how the players warm up and interact with the fans. Hodge said while it seemed the game would be a blow out early on, the Nets made it a game. “You got to see the real deal, the half time shows, cheerleaders—everything live,” he stated. Payne said he took away that one has to come early in order to be prepared to execute. “That’s what I can grasp from it,” he said. Hodge noted the players come out in small groups, work on drills, stretching, getting warm and game focused.